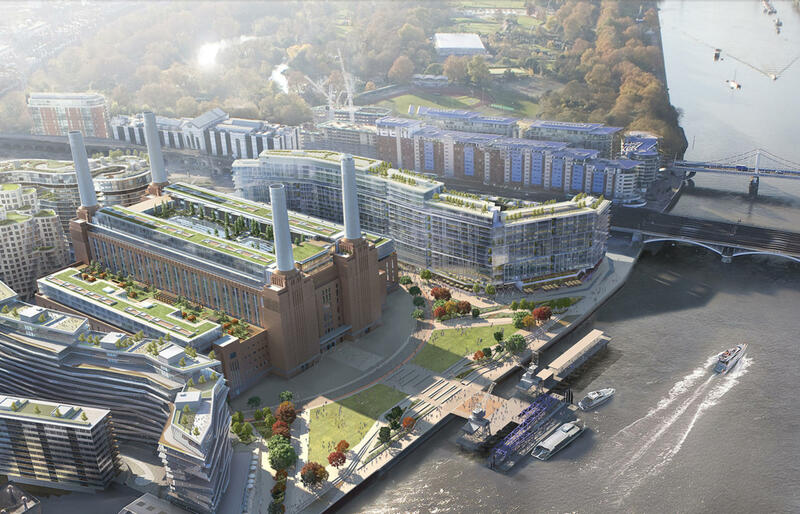 Tech giant Apple has its eyes set on moving into Battersea Power Station in south London. Currently vacant, the power station was designed by Sir Giles Gilbert Scott in 1929, completed 1935, and is a much-loved landmark of the capital. 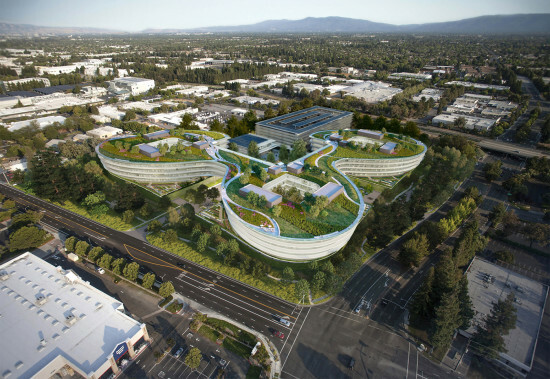 Apple plans to occupy 500,000 square feet of interior (40 percent of the space available) with offices, spanning six floors in the power station’s central boiler house. The building has stood empty after 1983 when it was decommissioned, however, its art deco brick decor and iconic quadrangle of chimneys have lived on to become a cultural icon. 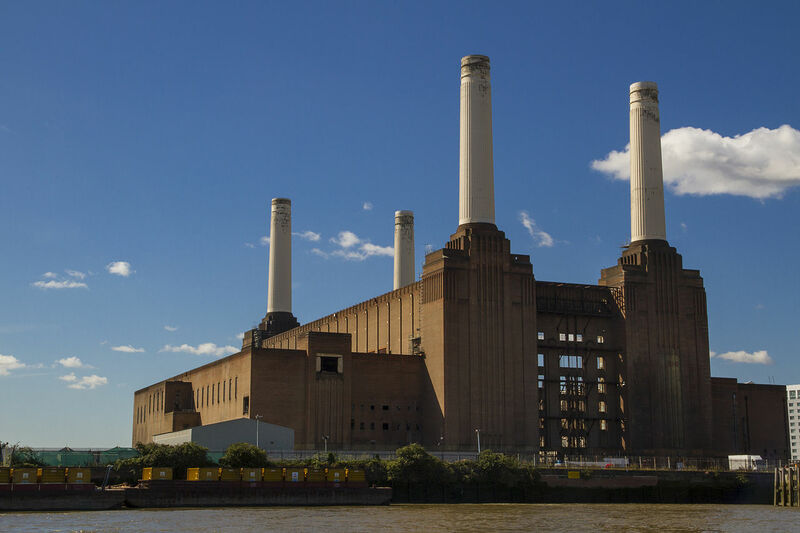 Gilbert Scott's work was used on the cover of Pink Floyd’s album “Animals” and also in the Batman film “The Dark Knight.” After many redevelopment attempts, including a hotel design by designer Ron Arad and a stadium proposition from Chelsea Football Club, the power station is being redeveloped by a Malaysian consortium. The group is well underway with a project that will see high-end luxury condos, offices, shops and restaurants fill the 42-acre vicinity. 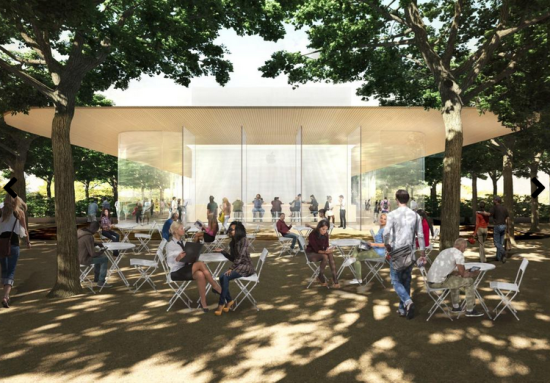 Apple plans to have moved in by 2021 by which time employees will have access to the site from the London Underground Northern Line's new extension, as well as from existing overground services from Battersea Park station. The U.K.'s recently appointed Chancellor to the Exchequer, Philip Hammond, commented on the deal, remarking how it is “another vote of confidence in the UK economy.” “Apple’s decision further strengthens London’s position as a global technology hub and demonstrates how the UK is at the forefront of the next steps in the tech revolution,” he said. 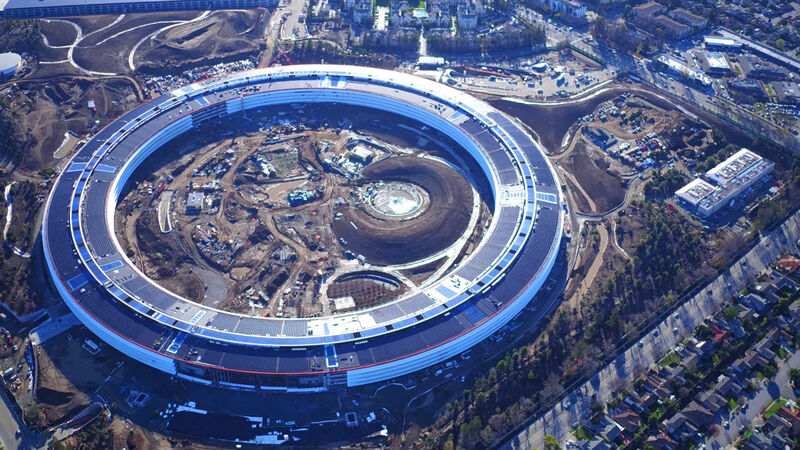 A spokesman for Apple has said the move would mean "its entire team [could] work and collaborate in one location while supporting the renovation of a neighbourhood rich with history". "This is a great opportunity to have our entire team working and collaborating in one location, while supporting the renovation of a neighborhood with rich history," said Apple in a statement. Meanwhile, Battersea Power Station Development Company’s chief executive Rob Tincknell added: “We are delighted Apple chose to make this their home in 2021. It is a testament to not only the fantastic building but the wider regeneration of the 42-acre site, which offers a carefully curated mix of homes, businesses and leisure amid extraordinary open spaces and new transport links." British architect Norman Foster has seen his firm's new flagship Apple store open in San Francisco. 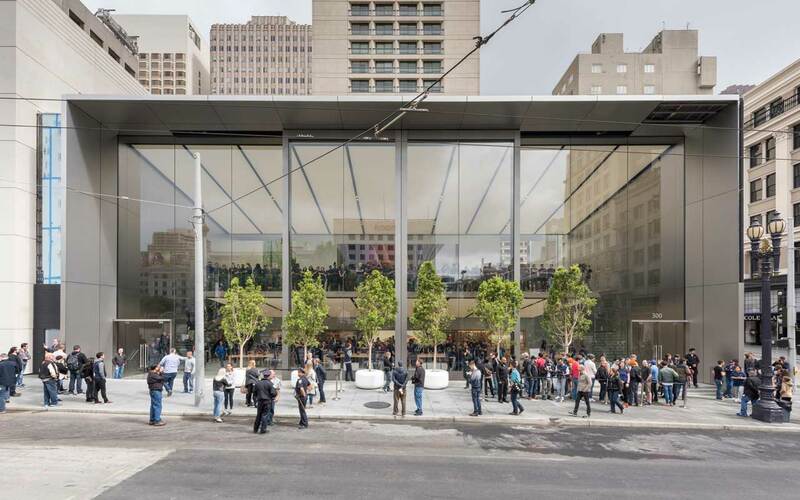 Located at Union Square, the new store features 42-foot high sliding glass doors that open out onto the 2.6 acre plaza "creating unprecedented urban permeability." Built to set a precedent for all following Apple stores, Foster's building replaces the old outlet which opened in the city twelve years ago. 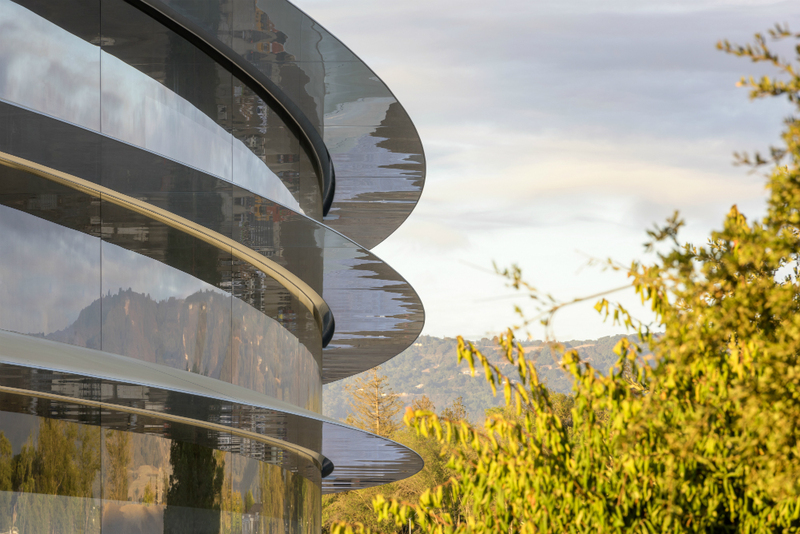 The design was realized working alongside Apple’s Chief Design Officer Jonathan Ive and Senior Vice President of Retail and Online Stores, Angela Ahrendts. 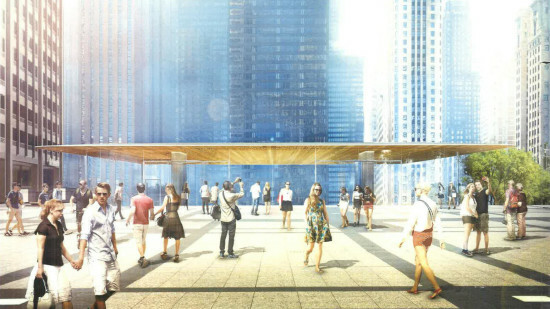 “This is an incredible site on Union Square and a chance to create a new public plaza. We have created the most inspiring and stimulating space imaginable, blurring the inside and outside,” said Stefan Behling of Foster + Partners. “It is possible to experience Apple's extraordinary products and services while taking in the buzzing Union Square on one side and relaxing in the contemplative quiet of the new plaza on the other.” The flagship store is one of three Apple stores designed by Foster + Partners; the two others are in Turkey and China. 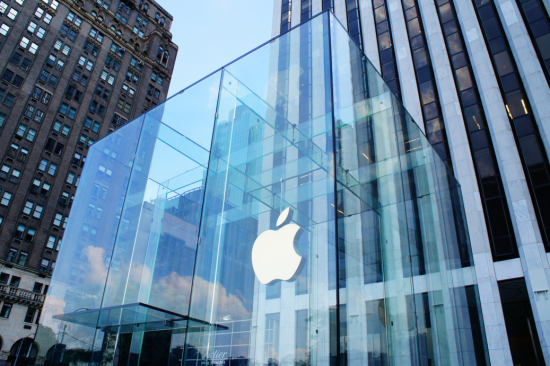 The Union Square store is also close to Apple's headquarters at Cupertino, which are also being designed by the firm. 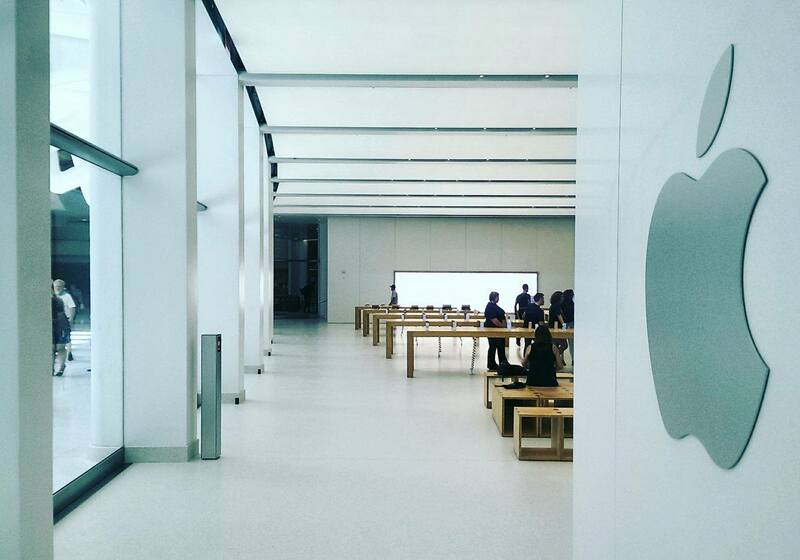 This latest store however, represents a shift in approach to the retail typology that Apple is adopting. 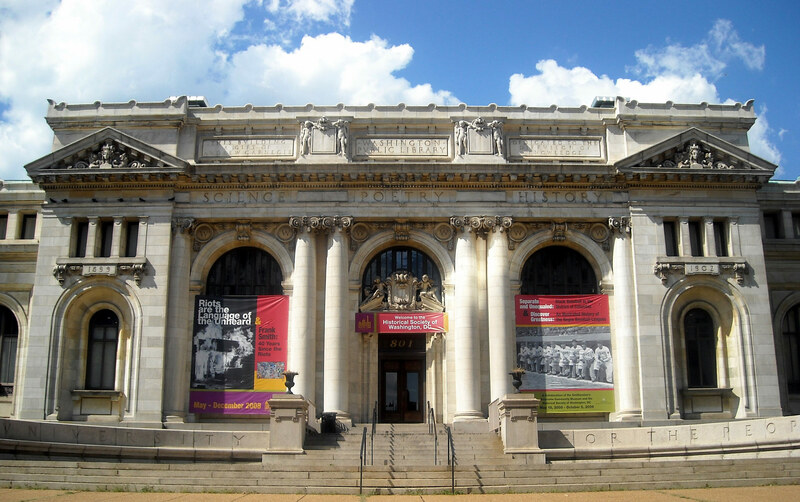 A new learning zone called the "Forum" will become a space for entertainment and teaching. The new space was awarded a prime location on a mezzanine, open to most of the store and against a video wall. At the back of the Forum is the "Genius Grove," a space filled with trees where Apple Genius employees will be on hand. Glass sliding doors are used on both sides of the store. To the rear, an open public space has been filled with art and offers Wi-Fi. Seating and vegetation form a gathering space outside the store. Meanwhile, the Ruth Asawa fountain, a well-established piece of historical San Franciscan heritage, has been relocated to the steps that lead down to Stockton Street. In 2013, Foster + Partners' design had to be revised after their original plan hadn't catered for the fountain. This space is also flanked by a standing of trees and a 65-foot-by-50-foot green wall planted with Ficus Repens plants. This is split by a waterfall on the west side which also forms a backdrop to the fountain. Behind this, and well hidden away, is the "Boardroom" which will be used for meetings and business purposes.